Home > Genetics > Can DNA Make You Popular? It may seem surprising and unusual, but have you ever wondered if your DNA is responsible for making you popular? According to a recent study in the United States, popularity could be something that is actually inherited. 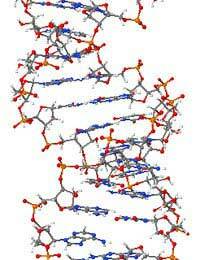 The results have suggested that our DNA could be the key to whether we become popular. We tend to think of popularity as a wonderful, coveted thing but when you look at the results and interpretation of this recent study, it becomes clear that in terms of human evolution and genes, popularity isn't always a good thing. In fact, it could ultimately lead to a person's demise. Researchers in California looked at a sample size of nearly a hundred thousand teenagers. They focused on more than a thousand twins in the population and they measured different aspects of popularity. These aspects included how many times that person was named as being a friend. Another aspect they checked out was whether a person was in the middle of a social group or alternately, if they were in the fringes of a social group. The researchers found that there was more of a similarity between social status of identical twins versus the fraternal twins, which suggests that popularity is something that is inherited – at least to a certain degree. Identical twins are from one egg while fraternal twins result from separate fertilisation. Researchers now believe that how humans socialise and the subsequent networks they create seem to be linked up to their genes. They are considering that the concept of natural selection is exerting influence not just on things like our immune systems, but also on the people we end up making contact with in our world. Clearly, there is a factor at work that is associated with people being the 'centre of attention' or on the fringes of a social network. Researchers are also considering how the social aspect could relay a genetic advantage or disadvantage. For instance, if there were a dangerous virus or bacteria being transmitted through a specific social group, those people on the fringes of the group would be less likely to gain exposure while those in the centre would be more likely to become ill. But alternately, if we look at it in terms of basic necessities such as food, those in the centre would have an advantage because they would quickly gain access to that food source. The people on the fringes of the specific social network would not gain access quite as quickly though. This study is a particularly interesting one because most people tend to associate popularity with other social factors rather than our genes. However, it's likely that a combination of our DNA and our environment is interacting to influence our social networks and resulting popularity. It would be interesting to see the research continued to allow us to learn more about this very fascinating area of DNA and psychology. We may perhaps find out ways we can better control our social networks and our popularity.